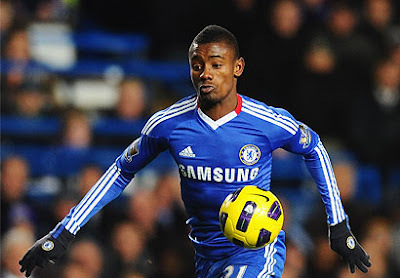 Kalou: "It doesn't matter who scores"
Fresh from a good performance on Sunday against Manchester City, Salomon Kalou has reiterated that the result is much more important for Chelsea than worrying about who scores. "It doesn't matter who scores because, when you are coming back to the top as a team, you have to focus more on the result. There are some moments when it's the defenders who score and the most important thing is that the team must stick together and win games. That's one of our best games, where we've put the team under pressure and where we keep the ball and create chances. That's our level, so I believe if we continue like that, we can put Manchester United under pressure. It was very important for us to win and now we've got to the third place and we are coming back to our best. You can only take it game by game and we have to focus on our own game."